I struggle not to giggle audibly while looking at Brad Wood's work. So cute it hurts. Hi - Brad Woods of Maginating here... just to further the story on the lower card, that's Mr. H and Ms. I - they were recently married, however, and are now the Hi's. 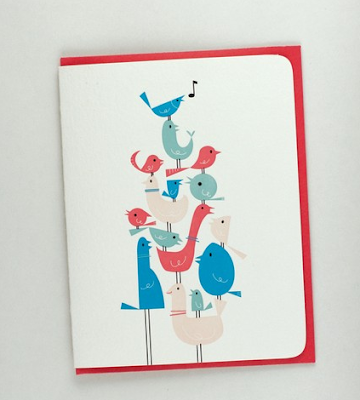 ... keep the giggles coming - and thanks for sharing our cards! I think I'm obsessed with that HI! Me I'm obsessed with those birds!!! Reminds me of all the books I used to read when I was a kid. ah! 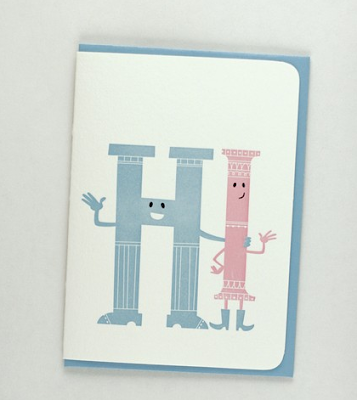 the "hi" card is genius. oh, these are just adorable! !